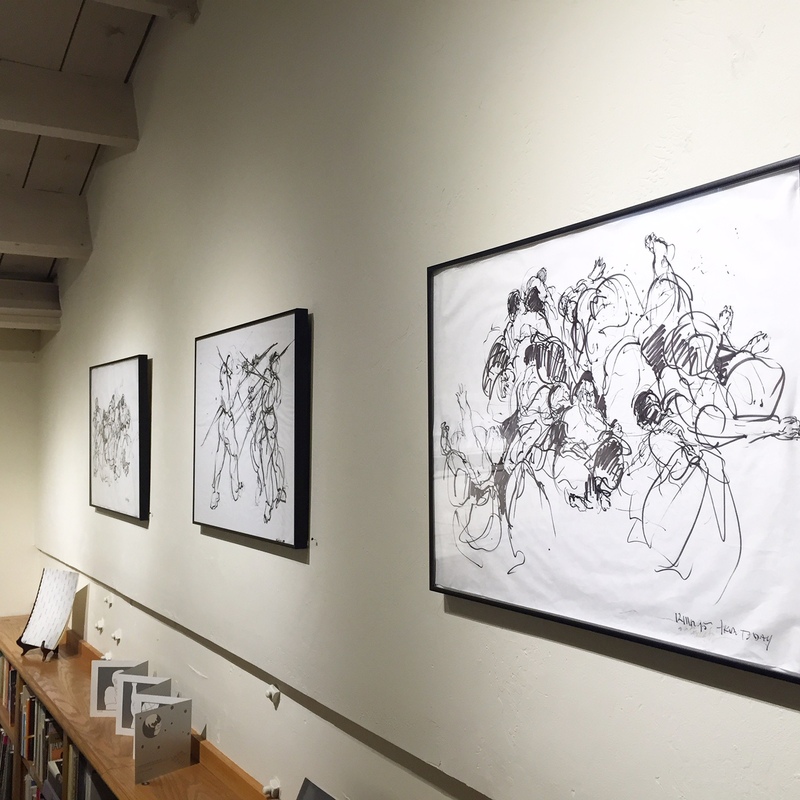 The Language of Gesture, Durango Arts Center Gallery, Colorado, (Installation View) 2015. 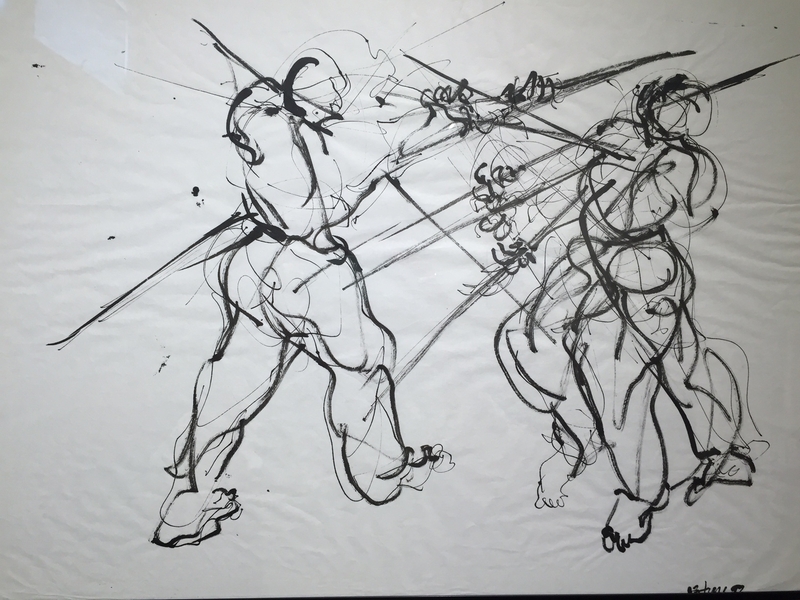 The Language of Gesture, Durango Arts Center Gallery, Colorado, (Announcement) 2015. 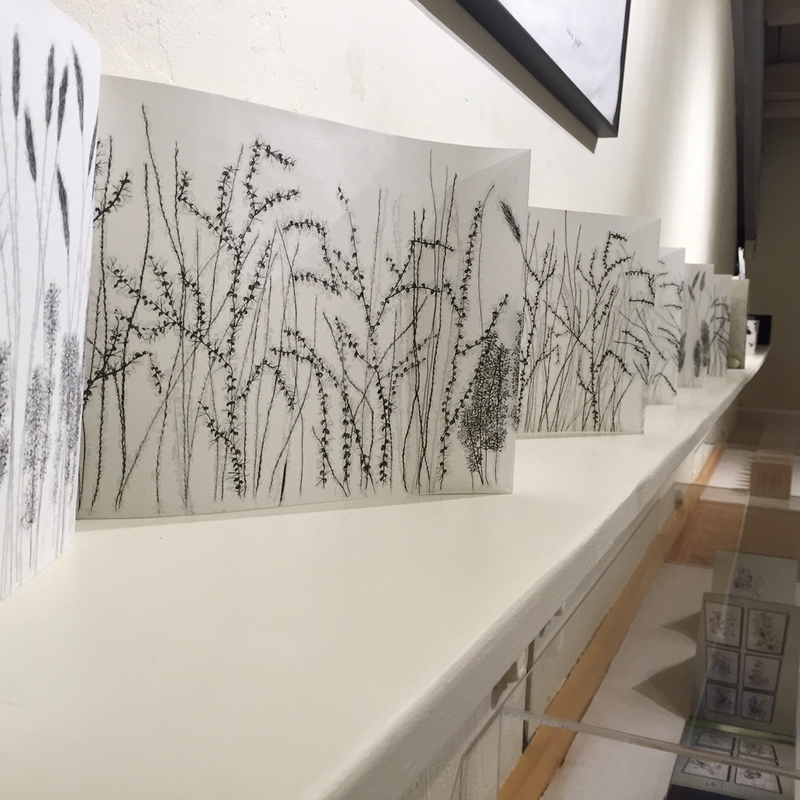 Joyce Cutler-Shaw, a California-based artist of intermedia-including drawings, installations, public projects and artist’s books, presents her drawings and book arts at the Durango Arts Center Gallery in a one-person show from May 8th to June 27th, 2015. ...Drawing is her primary language from two-dimensional pen and ink works on paper to their sculptural translations and original calligraphies, such as her award winning and and widely published "Alphabet of Bones", part of her "Messenger Cycle (1975-1990)". "Alphabet of Bones" is a 26 character, new alphabet that has been digitized and can be translated into the English alphabet as well as symbolic code. It is her own copyrighted typeface that has been widely published and honored. Included in her honors was the award of a publication prize from the Center for Book Arts in New York City, which published a limited edition of "Three Cages", which was a small triangular book of unusual folds with images and an original poetic text in English and the Alphabet of Bones.